Champions Fitness Club has teamed up with Inland Hospital to provide one-on-one physical therapy services. Our program offers a continuum of care from the acute stage of an injury to post rehabilitation. As our clients graduate through the acute stage of injury, they matriculate into the mainstream gym area thus bringing their rehabilitation to the next level. “Our new affiliation provides clients with an alternative to the traditional physical therapy setting – some people are just more comfortable receiving their physical therapy in a fitness setting. 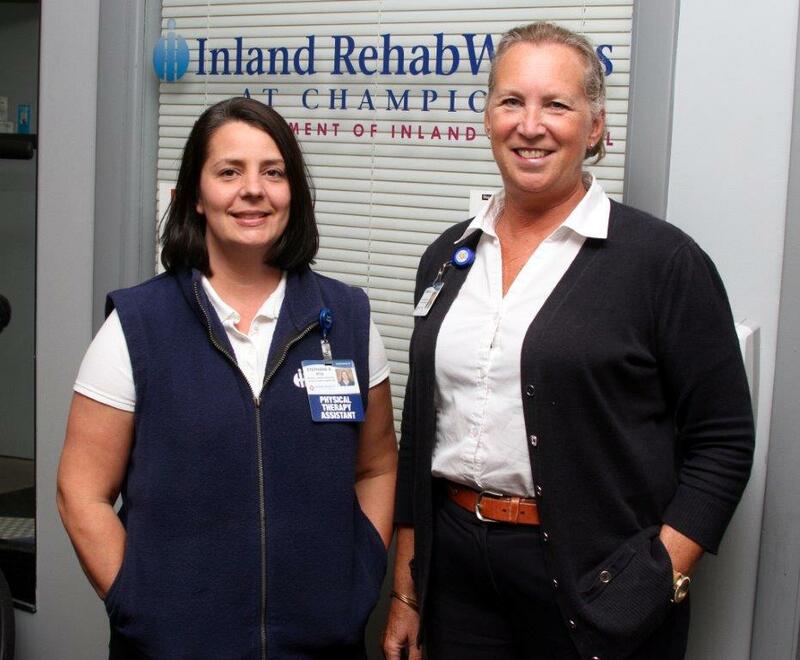 We are happy that the rehab experts from Inland are here to provide a service that complements our fitness environment,” says Charlie Giguere, Owner and Manager of Champions.